The Kenmore 80 series of electric dryers are front-loading push-to-start dryers. This series is of consumer grade dryers, which are intended for home use. As with other dryers, there may come a time when yours is not functioning as intended. If you are experiencing problems with your Kenmore 80, you can do some troubleshooting on your own instead of calling a service technician. Press the power plug securely into the wall outlet. If it is not in the outlet all the way, the dryer will not start. Try removing and re-inserting. Plug a lamp or another electric item into the wall outlet to make sure your outlet is not bad. Open and close the dryer door firmly. If the dryer door is not completely closed, it will not start. 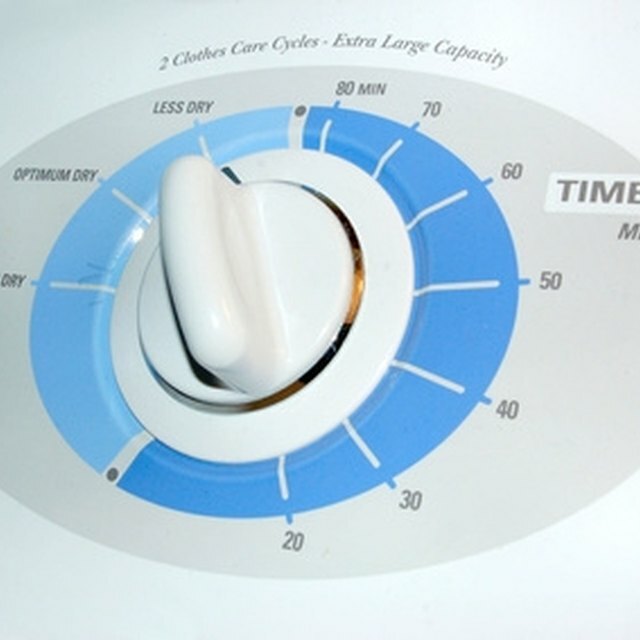 Turn the cycle control knob to select one of the drying cycles, if one is not selected. You must have a cycle selected for the dryer to function. Push and hold the "Push To Start" button firmly. If you do not press it hard, then the dryer may not start. Look at your breaker box or fuse box to check for a blown fuse or tripped breaker. Make sure you are only using a time-delay fuse.